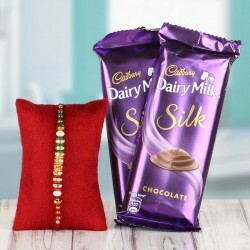 Every Sister wants to get something special for her Brother on every Raksha Bandhan because no matter how much he teases her, a Brother is the most important man in every Sister's life. 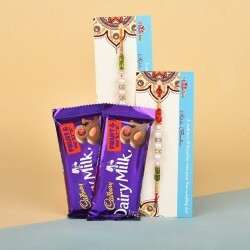 To make this Raksha Bandhan special for all the Brothers, we have some amazing Raksha Bandhan special Gifts with us. All the Sisters can now shop Gifts for their Brothers online with MyFlowerTree. We have something amazing for your Brother. 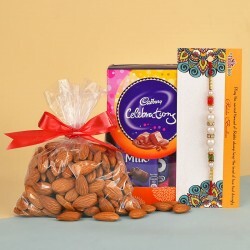 Raksha Bandhan is the festival that is celebrated by Hindus every year. It was believed that this festival has been celebrated since the time of Mahabharata. It is assumed that on this day, Draupadi ties a Rakhi to Shri Krishna and made him her brother. In exchange for the Rakhi, he promised to protect her forever. Every year a Sister ties a Rakhi on the wrist of her Brother who pledges to stand by her through the thick and the thin. 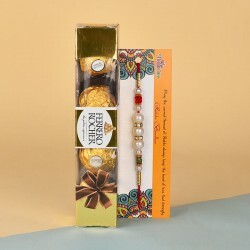 This year, make this festival memorable by tying the best Rakhi on the wrist of your Brother and by giving him the best Gifts. These special gifts are amazing and one of a kind. Let's start with our proponents, Mugs and Cushion. Mugs and Cushions are perfect souvenirs but when they are personalised, they look better. You can get a message of your choice or a quote you want to dedicate to your Brother printed on these Mugs and Cushions. You can even get a photo printed on them and make them special. If your Brother is fond of cakes, you can even get them Personalised. Get a quote, message or photograph of your Choice printed on these Cakes. Your Brother is going to love them! 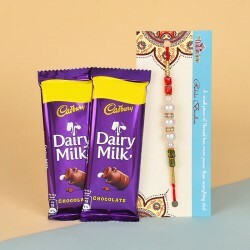 If you are looking for a gift for your Brother for this Raksha Bandhan, then we are happy to say that we have all the things that you need. Let's begin with the all-time favourites. Our special collection of Flowers include Flowers like Roses, Carnations, Gerberas, Lilies, Orchids and Birds of Paradise, available in colours like Red, Pink, Purple, Yellow, Orange, Blue and White. 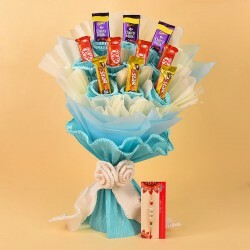 All these Flowers are arranged beautifully in special Bunches, Bouquets and other arrangements. If you think that only you like to eat a Cake then you are wrong. Your Brother enjoys eating it as much as you do. Our Raksha Bandhan special Cakes flavours are Black Forest, Chocolate, Pineapple, Vanilla, Strawberry, Chocolate Truffle, Butterscotch, Mango and various other exotic Flavours like Kiwi, Mixed Fruits, Coffee, Caramel, KitKat, Gems, Oreo, Cheesecake, Ferrero Rocher, Marble and much more. These Cakes are available in shapes like Round, Rectangle, Heart shape and Square. If you really want to pamper your Brother, you can even order a 5 star Cake for him. We also have some personal care products like Razors, Shaving Foam, Shaving Gel, Perfumes, Towels and more in store for your Brother. You can even wish him with Raksha Bandhan special Mugs and Cushion. 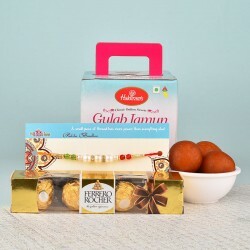 If you want to follow the traditional route, send rakhi with sweets to him. 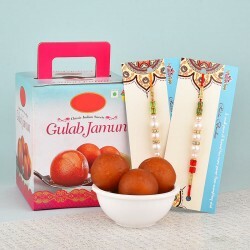 We have everyone's favourite Gulab Jamuns, Rasgullas, Rasberi, Kesari Petha, Kesari Gandheri, Kaju Katli and more. 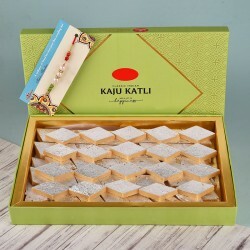 We also have special Dry Fruits Thalis which have Almonds, Cashew nuts, Pistachios, Walnuts and Raisins. 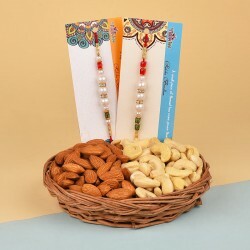 This time, become a little modern and shop online for Raksha Bandhan. Everything that you need for this festival is now available to you without going to the market. From Rakhis to Gifts to Pooja ki Thalis, everything is right on your screen. All you have to do is to click a few times and the work is done. 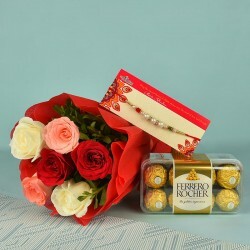 With MyFlowerTree, you can even Send Rakhi to Brother Online. Make your life simple with online shopping. Choose MyFlowerTree for best results.